Regular fit unisex T-shirt with the Praha Drinking Team flag on the chest. Genuine local souvenir apparel, motive printed in the Czech Republic. This is probably the most popular T-shirt among young visitors to Prague. It will remind you of the pubs you have been to and the many local beers you have drank there. 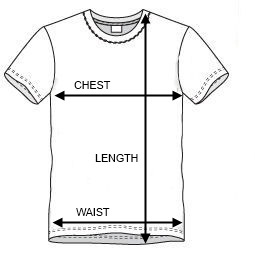 Size selection: standard apparel sizes from S to XXL. Please see the detailed Size Chart to determine the right option for you based on real body dimensions.